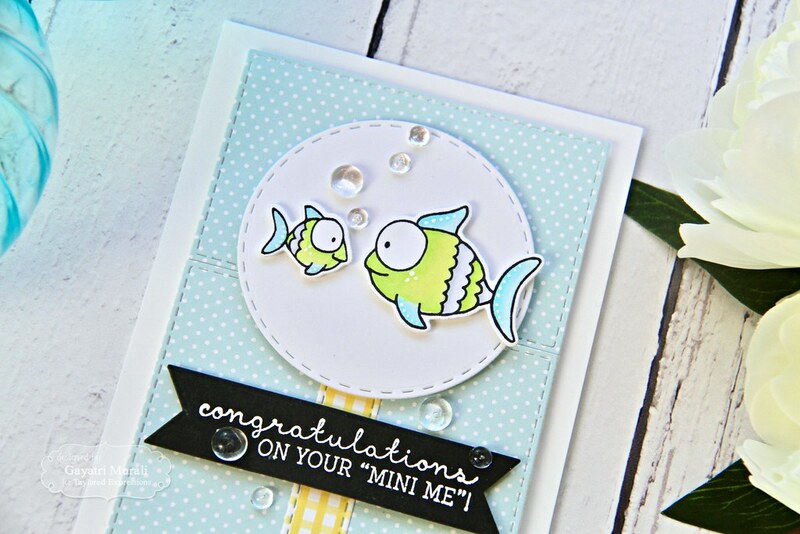 Congratulations on your mini me! 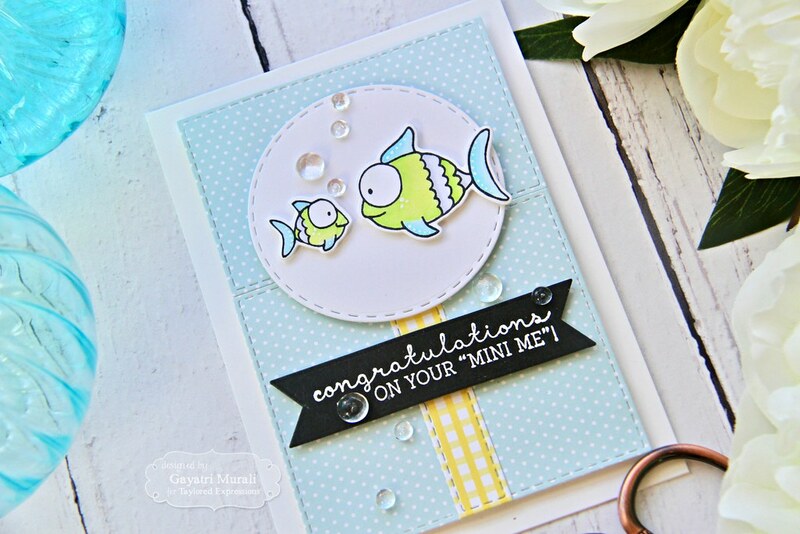 I have a baby card to share with you using Becky Fleck’s CardMaps card sketch and Taylored Expressions products. This is an awesome collaboration. I love sketches and have previously worked with Becky’s sketches. So I was thrilled when the opportunity came up. I played along two of Becky’s cardmaps. Today I am sharing one of the cardmap and the my card using the cardmap. Gorgeous sketch but it is a bit busy for me. So I redrew the sketch without any of the busy pattern which helped me work with it better. Here is my take on the sketch. 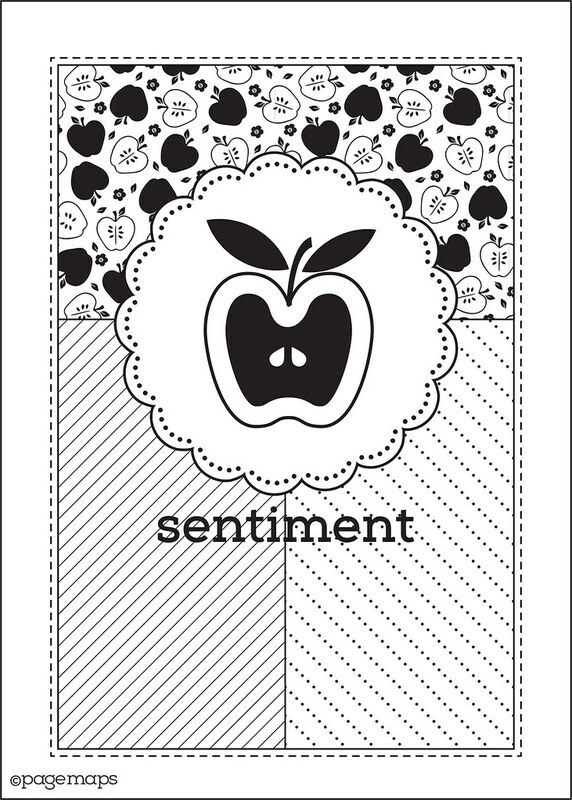 I used Taylored Expressions Playful Patterns Sweet pattern papers for the layers. I used the powder blue polka dot pattern paper, die cut three pieces using stitched rectangle die from Stitched Rectangle Stacklet. I arranged them as shown on the sketch and glued them on a scrap piece of white cardstock. This give a sturdy panel. Then I die cut a thin strip of the yellow gingham pattern paper using the smallest of the Banner Stacklet die and adhered in the middle as shown. For the focal point, I die cut a stitched circle using Sugar Cube cardstock and Stitched Circle Stacklet. 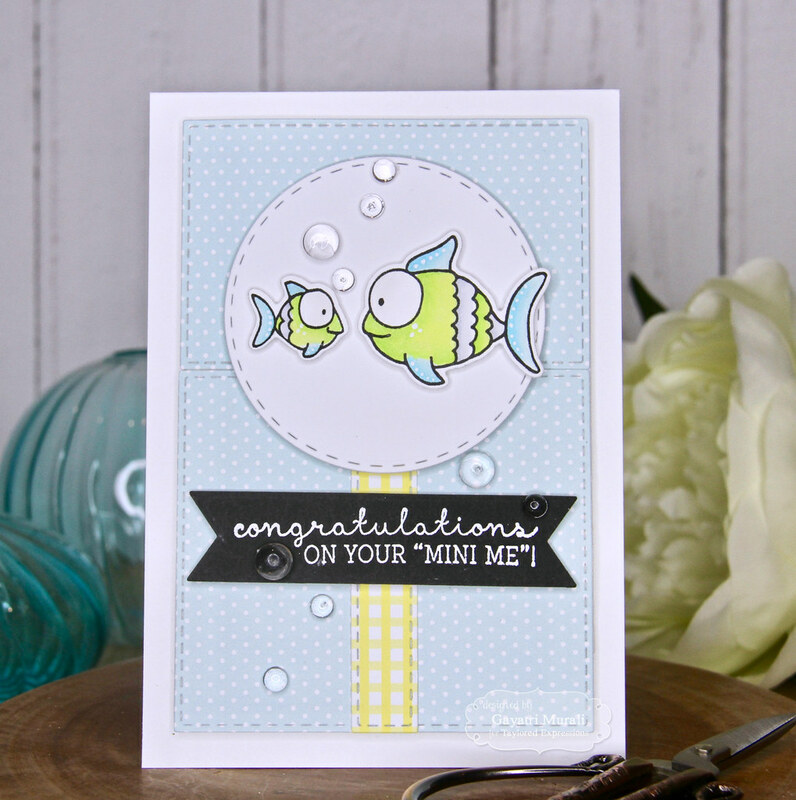 The focal images are from Mama & Me stamp set. I stamped them using TE Oreo hybrid ink and coloured them with copic markers. I used the coordinating die to die cut the images out. I adhered them on the stitched circle using foam adhesives. The sentiment is also from the same stamp set is white heat embossed on Oreo cardstock and die cut using the Double Ended Flag Stacklet. This is adhered below the circle using foam adhesive as per the sketch. 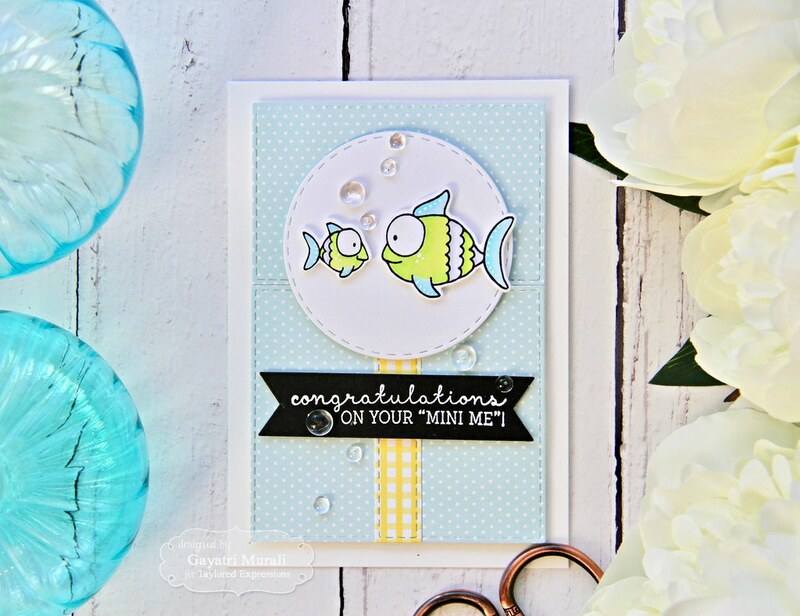 I added a few clear droplets to add bubbles on the card. This is completed panel is adhered on a Sugar Cube card base. Here are some closeups of the card. I love the colours on my card and simplicity of it too. Hope you do too. 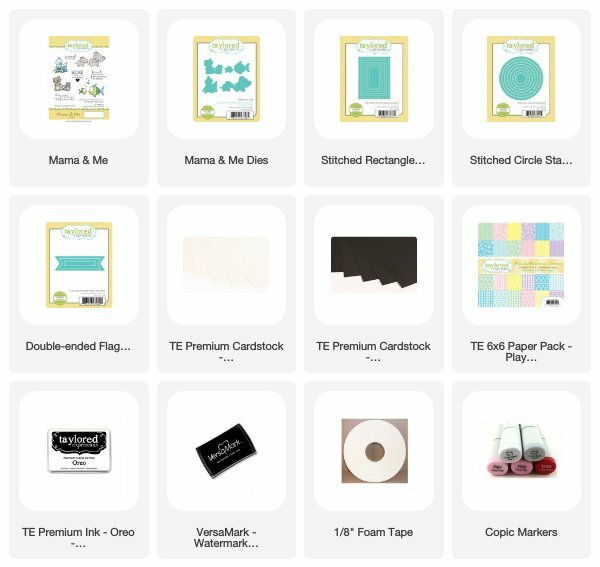 All the supplies used to make this card are listed below.